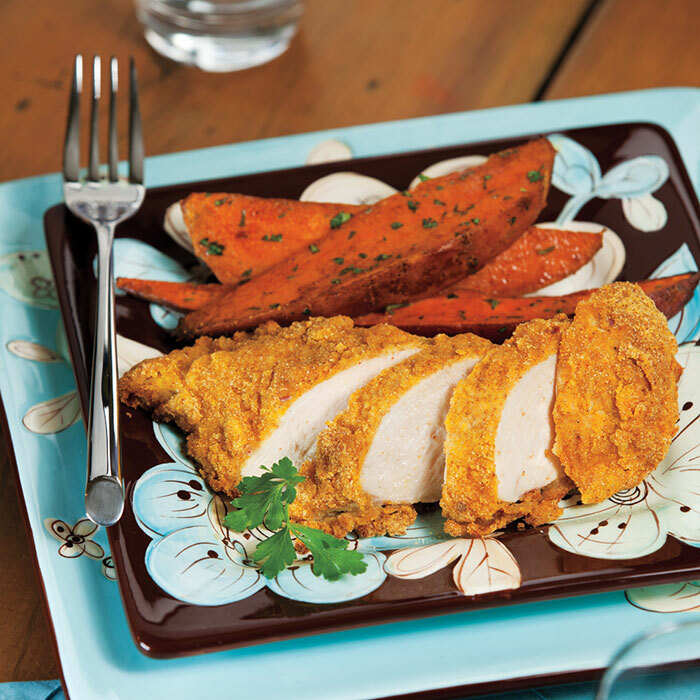 These Sweet Potato Wedges are low in calories, fat and sodium, and high in flavor, taste, and deliciousness! Preheat oven to 425°. Line large rimmed baking pan with aluminum foil or parchment paper; spray with nonstick cooking spray. In small bowl, combine cinnamon, salt, cayenne pepper, allspice, and white pepper. In large bowl, toss potatoes with oil and cinnamon mixture until well combined; transfer potatoes to prepared pan. Roast potatoes 55 to 60 minutes or until tender and lightly browned, stirring once halfway through roasting; transfer potatoes to large bowl. Toss potatoes with parsley until well combined.